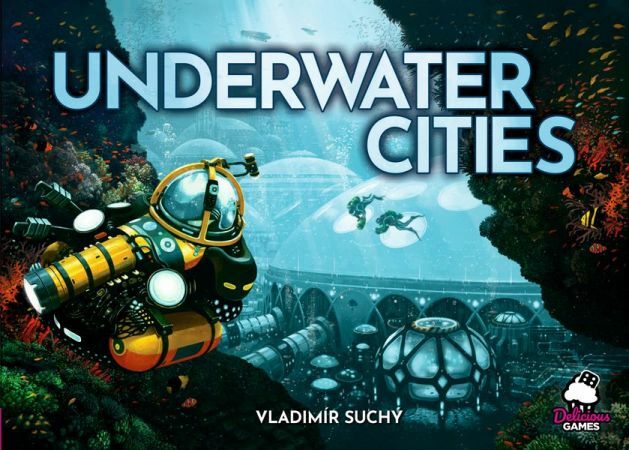 Rio Grande games has announced that Underwater Cities is hitting the stores in US this spring. This version has upgraded components such as thicker boards. Read more about it here. Rio Grande games has announced that Underwater Cities is hitting the stores in US this spring. This version has upgraded components such as thicker boards. The game, which was released in 2018, has been designed by the Czech designer Vladimír Suchýwhich (Pulsar 2849 and Last Will), has reached a high ranking on BGG, and looks very solid. As overcrowded metropolises spread across the earth, humanity has realized it is time to establish a new home on the ocean floor. Kelp farms can provide food. Desalination plants can provide water. And laboratories can provide the technology needed to build a network of underwater cities. Players direct the founding of their own underwater nations. They collect resources to build cities, a transportation network, and the facilities necessary to support life under the sea. Everything is accomplished by playing cards to choose various actions. If the card matches the action, the player also gains a benefit from the card. At times, the action may be so important that the player will choose it even with a nonmatching card. At other times, the benefit of the card may be so good that any action is acceptable as long as the card matches it. Balancing these choices is the key to building an underwater habitat in which humanity can thrive.